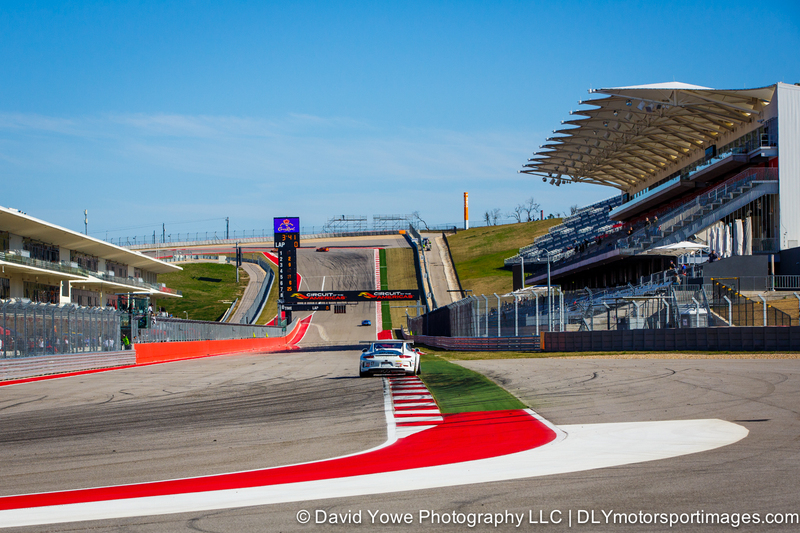 For the Friday morning practice sessions headed over to the outside of Turn 9 area so could get the iconic shot of the cars coming over the hill with the Observation Tower in the background. For the afternoon practice sessions went to the top of the Observation Tower for some scenic shots of the circuit, as well as Turns 18 to 20. Hope you like the photos. The GTS cars started there practice session first. 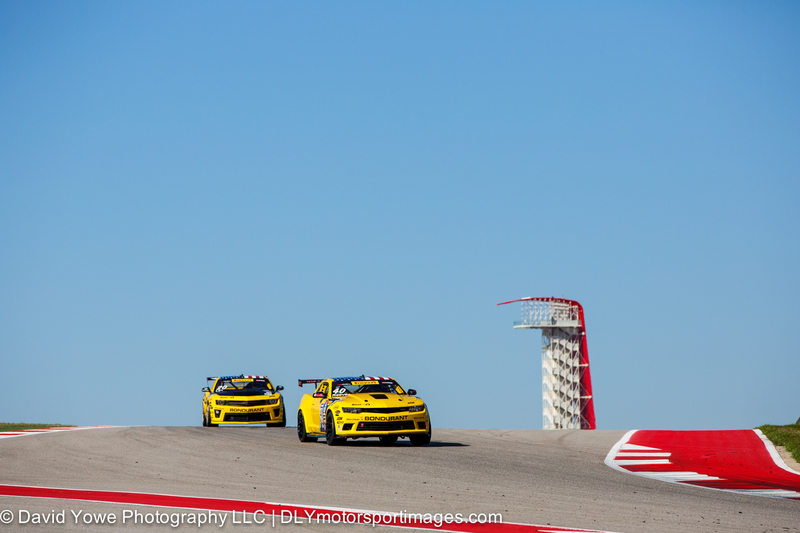 One of my favorite photos from the Turn 9 location was the #20 and #40 BestIT Racing Chevrolet Camaro’s heading over the hill in tandem driven by Andy Lee and Geoff Reeves, respectively. 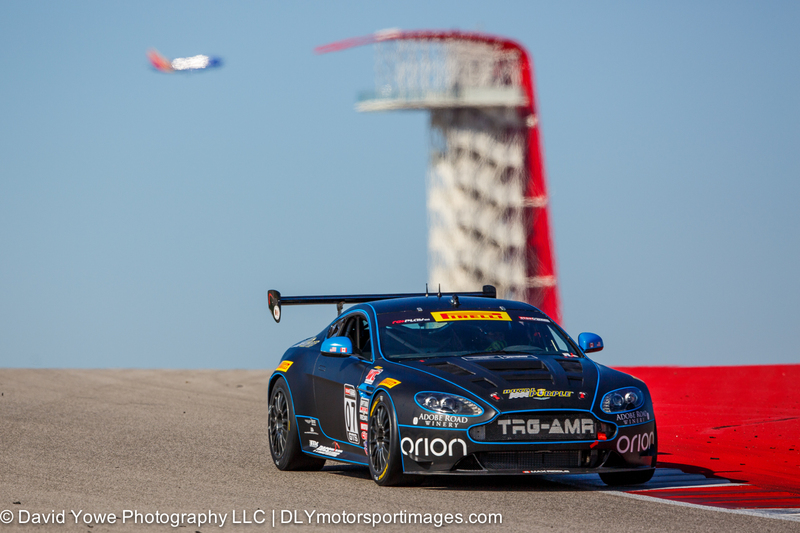 Also like this shot of Max Riddle in the #07 TRG-AMR Aston Martin Vantage GT4, since accidentally caught a plane taking off the from airport in the background. 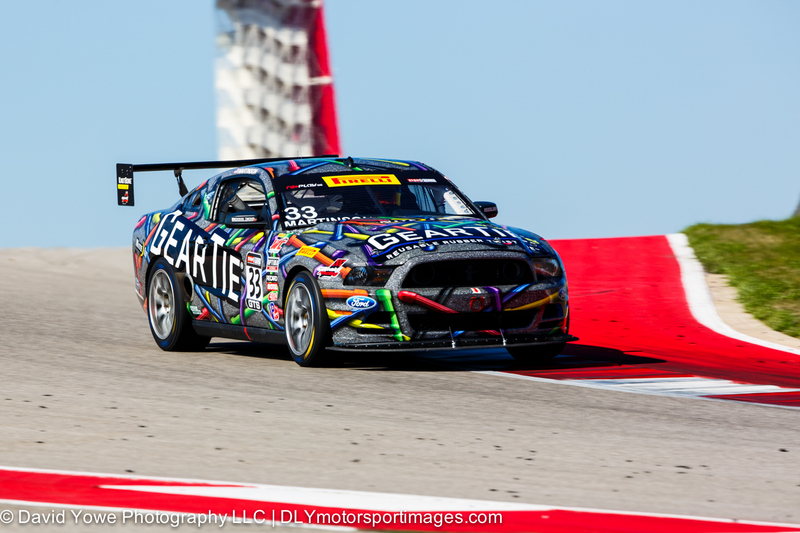 Really liked the GearTie livery of the #33 Capaldi Racing Ford Boss 302 driven by Dan Martinson. The GT cars were next on the track. 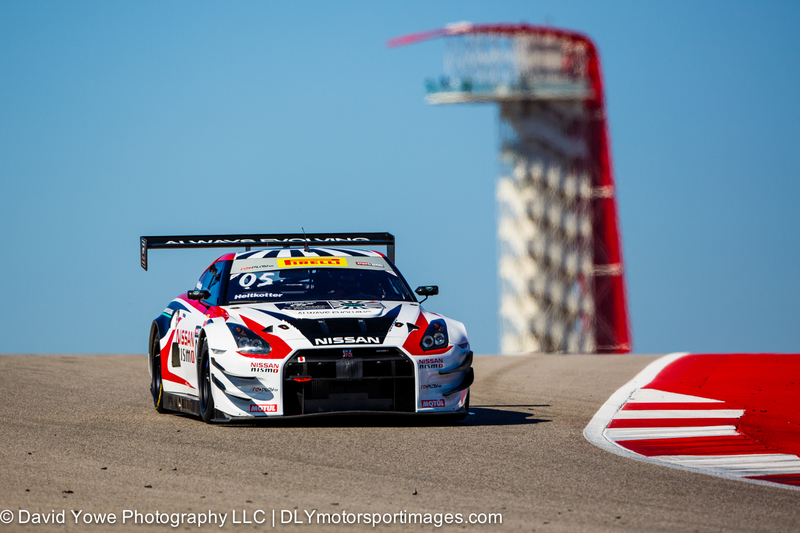 Here’s Bryan Heitkotter in the #05 AE Replay Nissan GT Academy Nissan GT-R-GT3. Really like the aggressive look of “Godzilla”. Walking down the hill a little to your right, can get you in a good position for shots of the cars “speeding across the Austin skyline”. 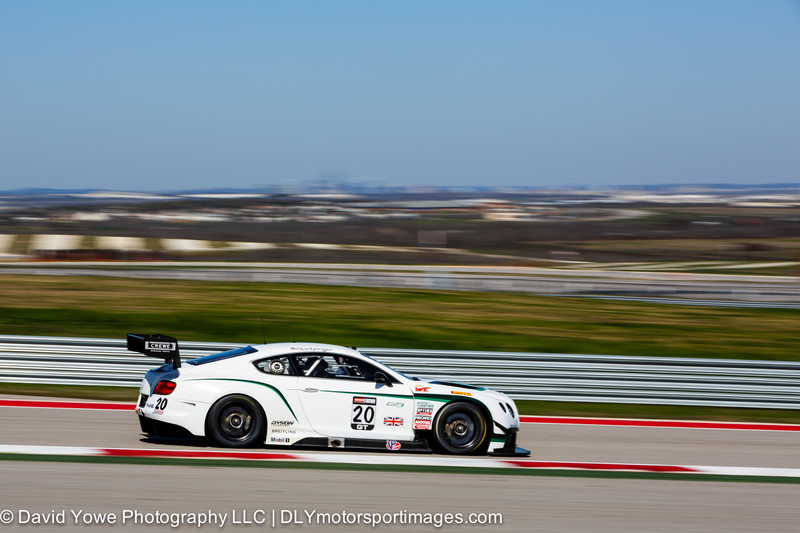 First up is Butch Leitzinger in the #20 Bentley Team Dyson Racing Bentley Continental GT3. 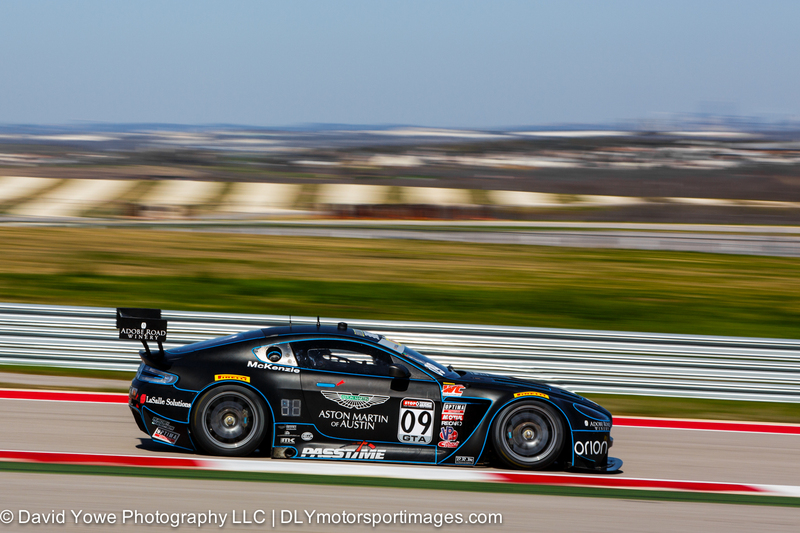 One more panning shot, this time with Mark McKenzie in the #09 TRG-AMR Aston Martin Vantage GT3. From the top of the Observation Tower you get some great views of the circuit. Here’s, Turns 1 to 2. 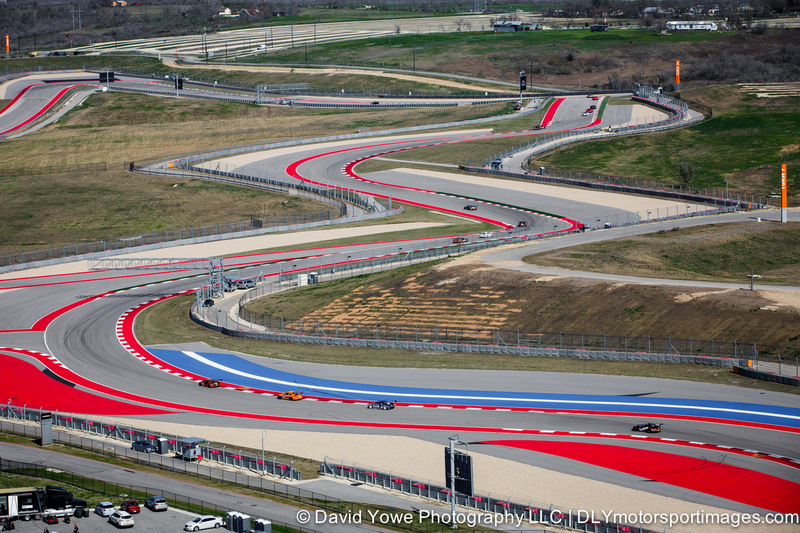 This is a shot of Turns 6 to 11, which gives you an idea of how large this track is. 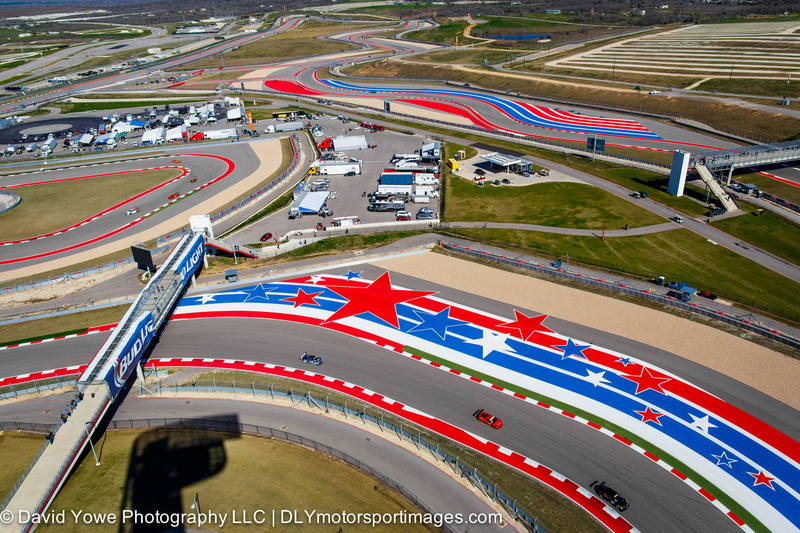 Looking down from the tower, you can see the cars speeding by against the red, white and blue stars and stripes. “Stars and stripes” with Andy Lee in the #20 BestIT Racing Chevrolet Camaro. One more shot from the tower, this time with Bret Curtis in the#32 Turner Motorsport BMW E89 Z4 GT3 and Chris Dyson in the #16 Bentley Team Dyson Racing Bentley Continental GT3 in hot pursuit. After getting shots from the Observation Tower, went down to the straight between Turns 19 and 20 to get shots of the cars along this short straight. 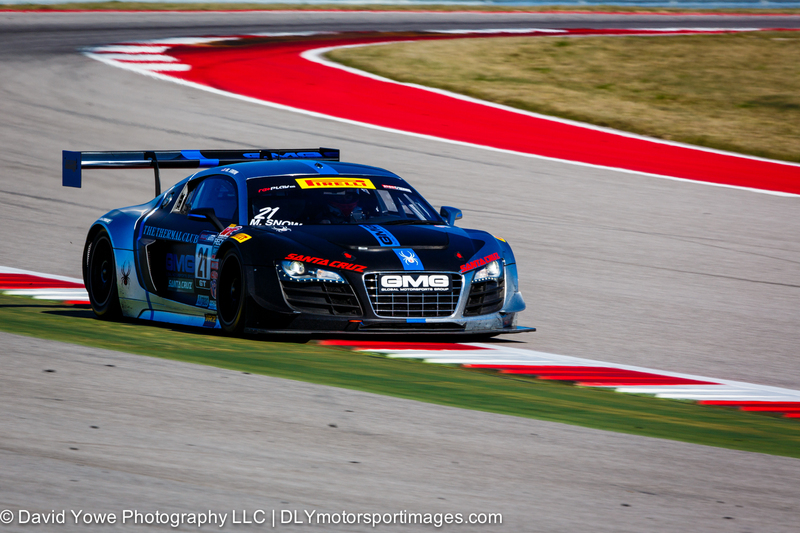 Here’s Madison Snow in the #21 Global Motorsports Group Audi R8 LMS Ultra accelerating out of Turn 19. 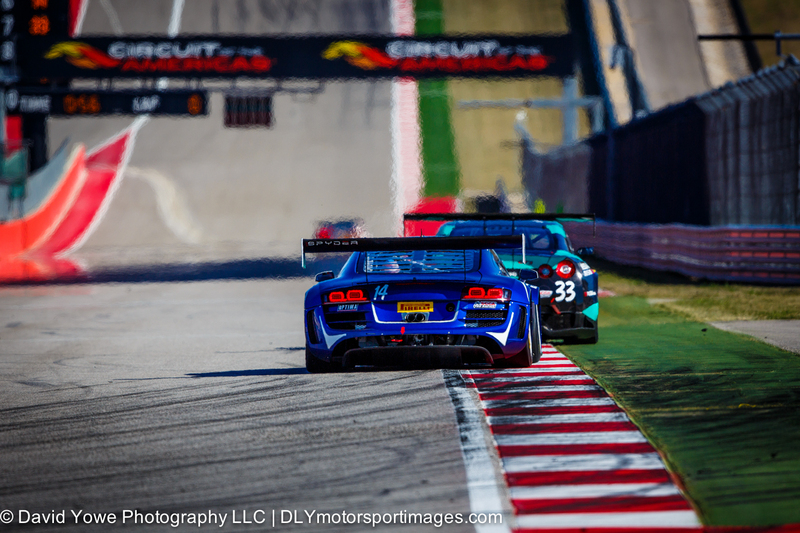 Jorge De La Torre in the #4 De La Torre Racing Motor LLC Aston Martin Vantage V12 exiting Turn 19. For the end of the practice session headed over to Turn 20 for rear view shots of the cars speeding down the front straight into the steep climb into Turn 1. 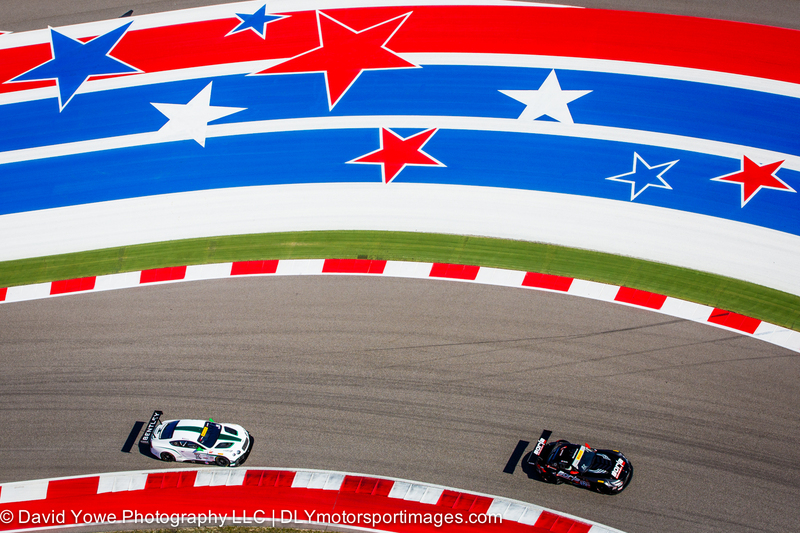 Here’s Alec Udell in the #17 Global Motorsports Group Porsche 911 GT3 Cup. Great shoots David! Hoping to make it to COTA this year. 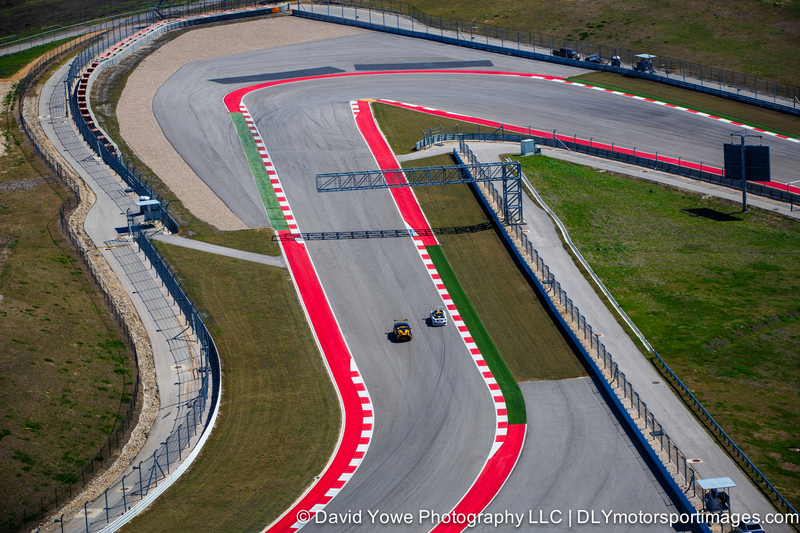 If you don’t mind can you tell me the focal length you were using for the outside of turn 9? Thanks Brian for the kind words. 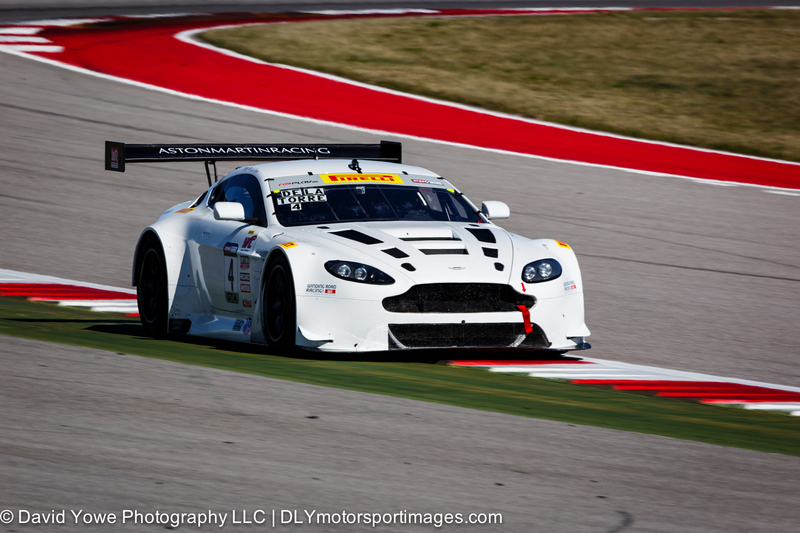 The shot of the two BestIT racing cars (first photo) was a focal length of 200mm, and the #09 Aston Martin was at 500mm, both using a full-farme sensor. 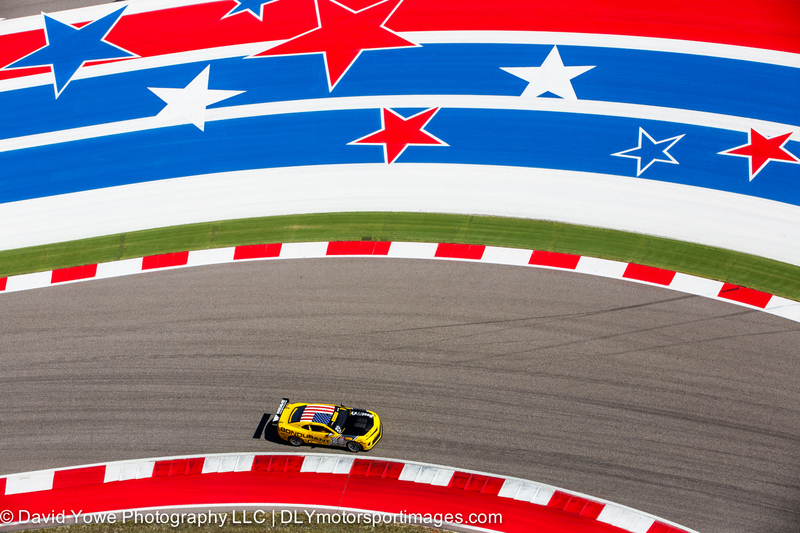 Really need a long lens to shoot at COTA, having a crop sensor and/or extenders also helps.